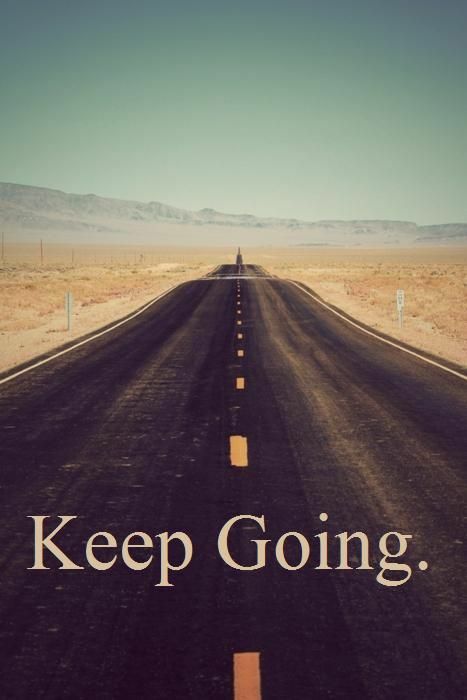 Sometimes I just want to head out and let the music tell me how long I’ve been running for, so, I made my 30 minute playlist to make sure that I was in fact, running for 30 minutes. 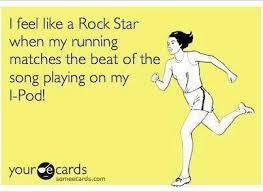 It’s always great when you are running as though you’re a rock star and no one else seems to know but you. Also, the Boston Marathon is coming up in almost two months and people keep asking for some more song suggestions to listen to while they train. 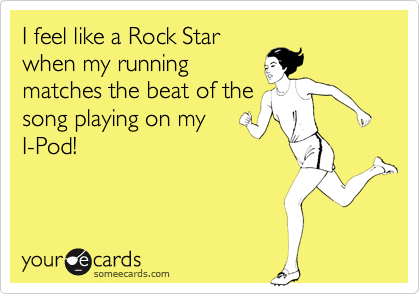 Well trust me, these songs will put that pep right back into your step! Okay so I lied, this playlist is actually 32 minutes to be exact, but, the last two minutes can be used as a cool down if so desired. Welcome to the world of my love for music! I am right now crushing on some Old School, Indie Rock, electro-rock (like Lorde), folk-rock (like The Lumineers), and Alternative music genres. 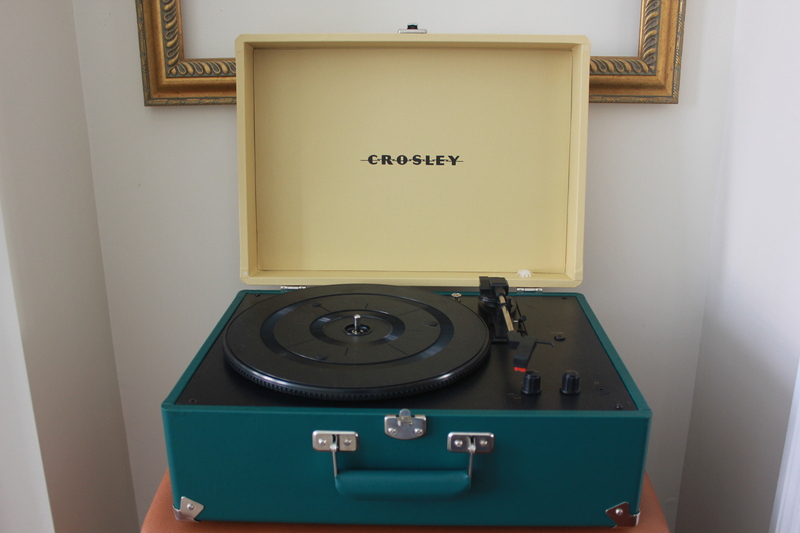 The hubby got me this amazing Crosley Keepsake record player from Urban Outfitters over Christmas and I am swooning over how it sounds. It even has a USB outlet so you can hook it up to your computer to play music from iTunes or Spotify for a vintage sound! 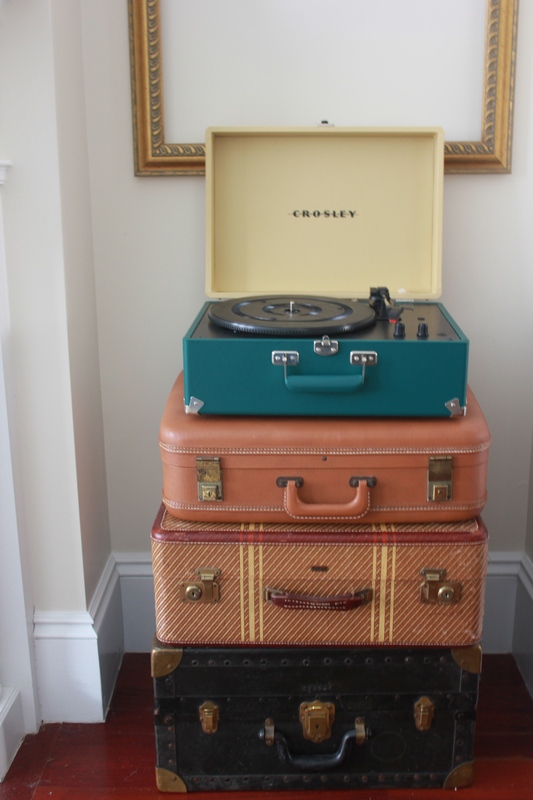 See below how I paired it on top of vintage suitcases for a fun vintage flair that adds a bohemian vibe to our Boston apartment!